Do any parent out there understand the phrase “messy parenting”? Or is your family all sewed up, perfect and without a disruption? Ah, I thought so. There is an excellent podcast that has now also moved into video called “Messy Parenting.” It is the result of my good friends Michael and Alicia Hernon from Franciscan University of Steubenville. What do they know about parenting? Well, they have 10 kids! So, that speaks for itself. They have been reaching out to families for the last couple of years via Messy Parenting podcast. Their shows are reaching 5,000 – 10,000 listeners every month. 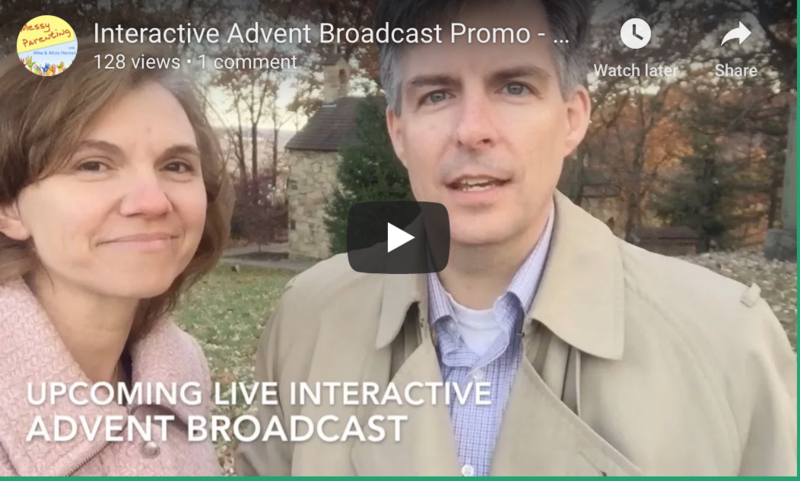 We know we are called to do more with this so we stepped out this Advent with a new video series. For the first week of Advent their presentation is “Making the Word of God Flesh in Your Home.” They talk about the importance of embracing Scripture and filling your home with the Word of God — and spend a good bit of time talking about their favorite Advent tradition – the Jesse Tree. It is an encouragement for families. Check them out every week and learn from their mistakes — and successes.